Now is an exciting time of year as your child gets ready to head back to the classroom to start a new grade. To ensure they start it off right, you have a detailed to-do list with all the school supplies and appointments that are needed. However, you could be missing something on your list—an appointment with their dentist in Las Cruces. Before the school year starts, now is the perfect time to schedule a preventive visit for a cleaning and checkup. By making it a priority now, you can help to prevent a bigger issue interrupting their school year later. Although the primary teeth eventually fall out, children still need preventive appointments every six months to ensure the health and development of their smiles. A cleaning is a vital aspect to protecting their teeth and gums because young children often do not have the best oral hygiene habits or techniques. As a result, they have an increased risk for tooth decay. In fact, 42% of kids have had at least one cavity in a primary tooth. With a regular cleaning, harmful buildups are removed to lessen the risk for a cavity while also teaching your child proper oral hygiene habits. After the teeth are cleaned, it will likely be recommended that they have a fluoride treatment or dental sealants to further help ward of tooth decay. During an oral hygiene appointment, your child also needs a checkup. In addition to a visual examination, digital images are taken to view below what is visible to the naked eye. This allows your children’s dentist in Las Cruces to see potential issues that may be brewing below the surface. 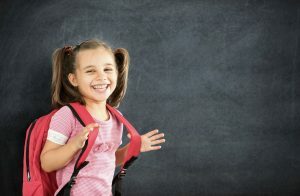 With this comprehensive insight, your dentist can monitor their dental health to ensure there are no complications that can interrupt their school year. Any concerns will be detected early for prompt treatment. By treating it while it is still small, it reduces the potential for a dental emergency that can cause them to miss school days. Not to mention, it reduces the need for an invasive or costly procedure in the future. These regular appointments help to set the foundation for your child’s dental health into adulthood. Although the baby teeth eventually fall out, they foster the health and development of the permanent teeth while also aiding with proper oral functions, like chewing and speaking. Although you are busy getting your child ready for the new school year, make the time to schedule a preventive cleaning and checkup so they start the year with a healthy, beautiful smile. Dr. Ramon M. Ortiz is more than a general dentist. He has received advanced training in an array of dental aspects, including the needs of children. He provides the tailored treatments young patients need to develop healthy teeth and gums. If you have questions about your child’s dental health, contact Painted Skies Dental Center today to speak with Dr. Ray.